To ensure that your furnace does not stop working when you need it the most, you should spend some time doing some maintenance and repair. In most cases, you need to check the air filter and ensure that it is in good condition. Understand that directly air filters can cause all sorts of problems. Therefore, it is important to clean it once a month even if you do not perform thorough furnace cleaning. In addition to checking the filter, you should also check the thermostat often. If your thermostat stops working fine, your furnace will no longer produce sufficient heat. In many cases, you only need to fix the battery to make your thermostat run again. There may be an issue with thermostat setting if your furnace cycles too often. So, be sure to check it before going for any costly repairs. When proceeding with furnace cleaning, you should consider check all the components for performance. For instance, you should pay a close attention to the power supply and circuit breaker. Your furnace will stop working and you will get a blank screen when the circuit breaker has tripped. The same may happen when you blow a fuse. Start by opening access panels and get a vacuum cleaner to clean the inside of the furnace. You should carefully remove any dirt or debris around the blower and motor. Do not leave the burner compartment dirty. You should also remove any dust from other mechanical parts. Make use of the crevice tool to clean hard-to-reach areas. You can also use your vacuum’s brush attachment for thorough cleaning. Ensure that you do not disconnect wires inside the furnace while cleaning. Once you have cleaned the inside of the furnace, you should now take a slightly damp cloth for further cleaning. After cleaning, you should take a screwdriver and check all terminals. If you notice any loose terminals, tighten them up carefully. Be sure to apply some motor oil to the motor and fan shaft. Use heavy-duty electric motor oil for better results. The fact of the matter is that you need to pay special attention to proper maintenance of your furnace. Furnace cleaning is an important task and can increase the lifespan of the unit. You should have your furnace cleaned and repaired by a specialist at the beginning of fall or end of the summer. Having it cleaned before the start of the cool weather. 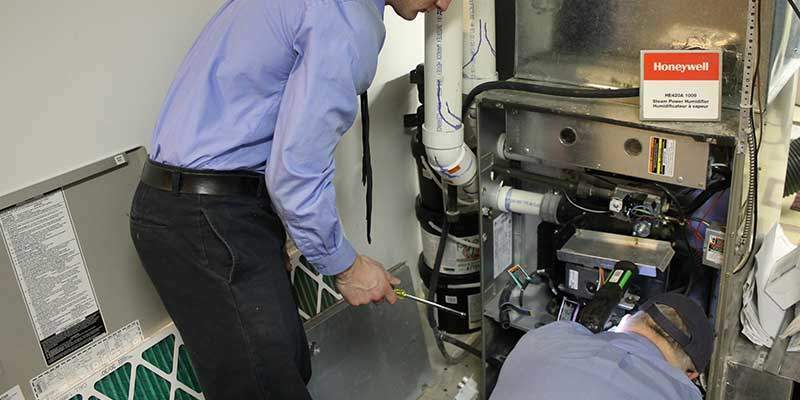 They would look for potential problems and fix them to ensure you do not find your furnace breaking down unexpectedly. So, be sure to clean your furnace regularly and hire an expert if you are not sure how to proceed.